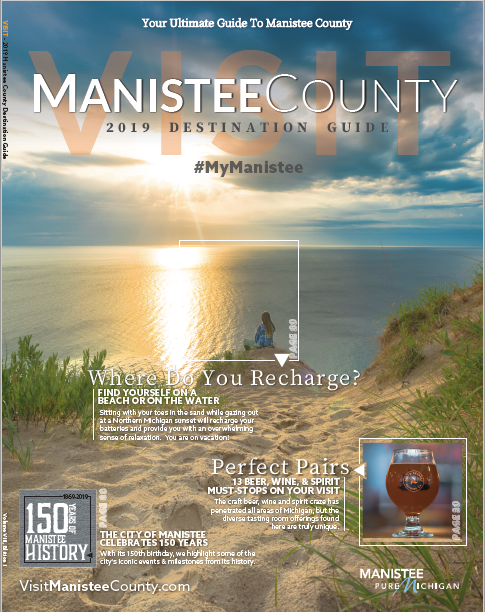 As you are driving north through Manistee County on the beautiful scenic highway M-22, you will find yourself "on top of the county" when you reach the Arcadia Overlook (known as "Inspiration Point"). When you travel through the quaint town of Arcadia, you will find yourself at zero elevation right next to the Lake Michigan shores. Within minutes you will feel your ears pop as you climb up the 370' climb to the parking area at the overlook! 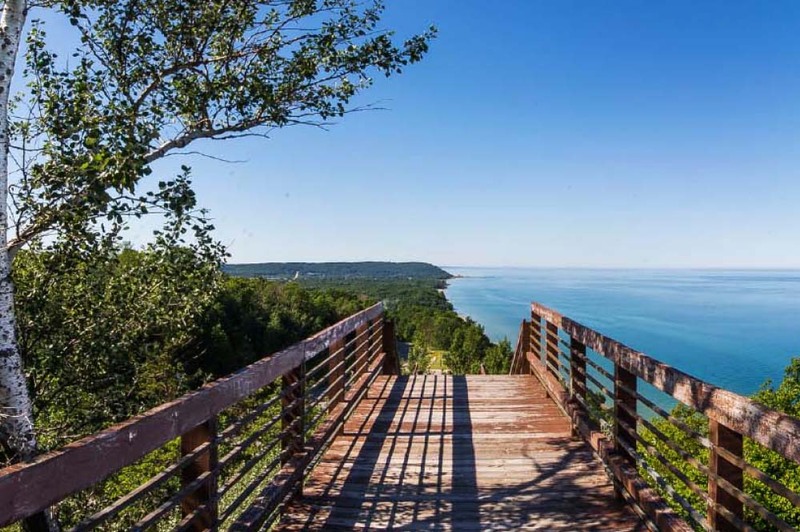 The view doesn't stop here-put on your walking shoes and travel up the 120 steps (80 vertical feet) to the top lookout and gaze out on one of the most picturesque views that truly define Manistee County as "Pure Michigan"
Well worth the time to take a break from your driving, to view the Lake Michigan Coastline and enjoy a fresh breath of air.